With their October 2018 issue, Magazines Canada member Canadian Underwriter introduces a new design, new editorial sections and a new tagline: “Your Guide to Insurance Success.” Launched in 1934, Canadian Underwriter is the largest media property serving Canada’s property and casualty insurance industry. “How I Did It,” success stories of Canadian insurance leaders in their own words. Feature-length journalism and special editorial packages also remain a key focus for the magazine, including targeted research, reports and surveys of specific industry segments. The October 2018 issue includes the results of the annual National Broker Survey. As a B2B magazine with a long history in Canada’s insurance industry, Canadian Underwriter has a strong foundation in producing time-sensitive stories that resonate with its audience. We spoke with David Gambrill about how Canadian Underwriter managed its multi-year, multi-platform coverage of the Fort McMurray wildfires and their insurance implications in the case study, Canadian Underwriter: Comprehensive Coverage. Newcom Media Inc. also recently announced that it has acquired Canadian Insurance Top Broker from TC Media. This acquisition extends Newcom’s presence in the insurance sector, as Newcom also publishes Claims Canada magazine and owns i-Hire, an industry job board, as well as Canadian Underwriter. 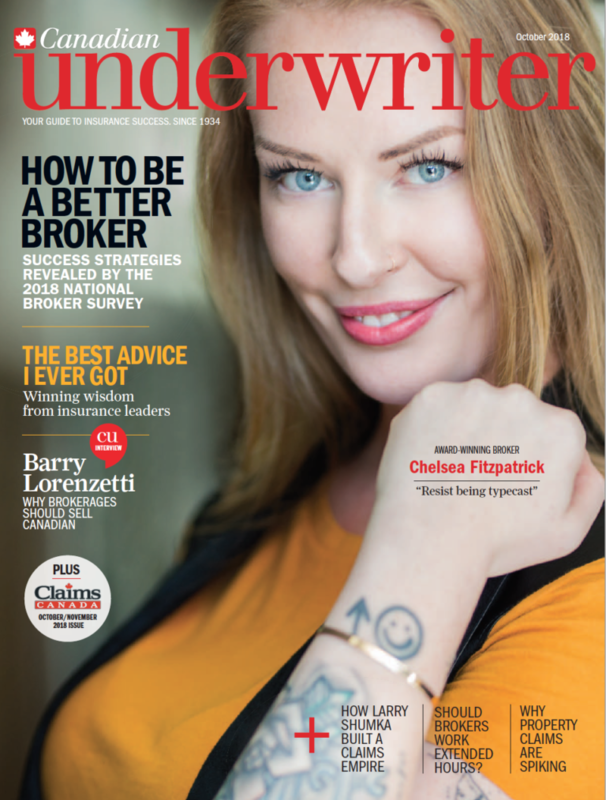 Canadian Insurance Top Broker is a national publication that helps brokers and other insurance professionals grow their businesses. The publication includes a monthly magazine, website, daily electronic newsletter, annual directories and the Top Broker Summit, an annual conference where brokers connect with insurance carriers. Newcom Media Inc. produces magazines, websites, trade shows and events for the automotive, bridal, dental, insurance, meetings, supply chain and trucking markets. Headquartered in Toronto, Ontario, the company has operations in Quebec and the U.S.